In this section, techniques learned in previous sections are implemented to create the geometries of real parts. There are total 35 exercises in this section. These exercises have been arranged in increasing order of complexity. This is the most important section of the tutorials. 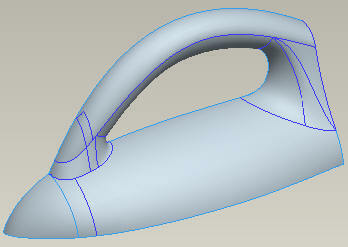 In this exercise we will create a door handle. The topics elaborated are as follows. 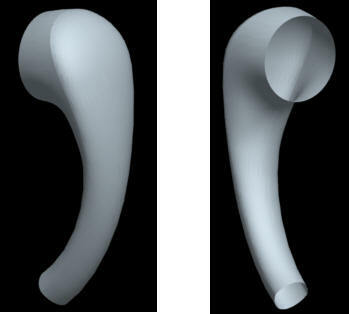 In this exercise we will create the surface model of a hand grip. The topics elaborated are as follows. 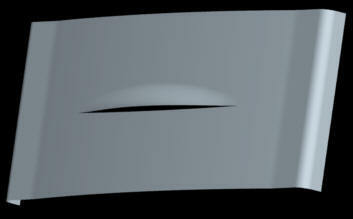 In this exercise we will learn to fix a distorted boundary blended surface. The topics elaborated are as follows. 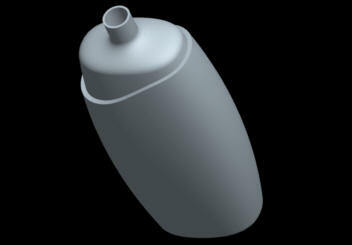 In this exercise we will create the surface model of a shampoo bottle. The topics elaborated are as follows. 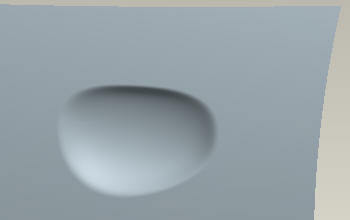 In this exercise we will create the surface model for a door of drawer. The topics elaborated are as follows. 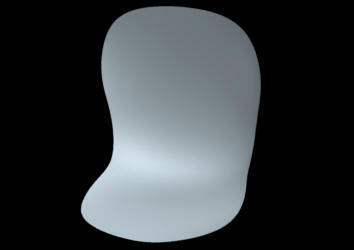 In this exercise we will create the surface model for a plastic chair. The topics elaborated are as follows. 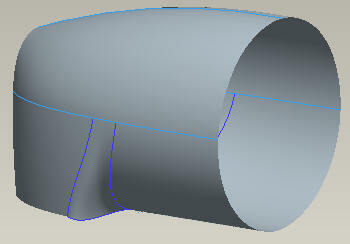 In this exercise we will create the surface model for a jug. The topics elaborated are as follows. 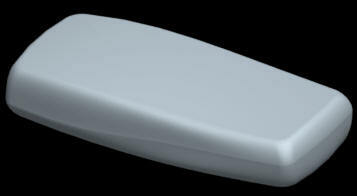 In this exercise we will create the surface model of the scoop for a car. The topics elaborated are as follows. For a surface to be normal or tangent to a reference, underlying datum curve must also be normal or tangent, respectively to the reference. 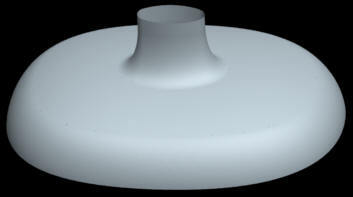 In this exercise we will create the surface model of the pulsator for a washing machine. The topics elaborated are as follows. In this exercise we will create the surface model of a channel. The topics elaborated are as follows. Why it is advantageous to pick the surface edge instead of underlying datum curve fro creating a boundary blended surface. 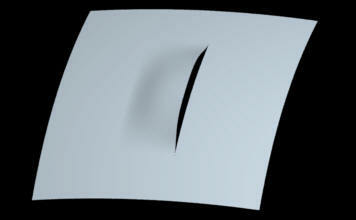 How to make the side edges of the blended surface tangent to the side edges of the reference surfaces. In this exercise we will create the surface model of a mobile phone. 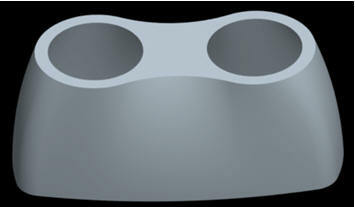 The parting surface of the part is non-planar. It will be shown how to build draft into the surfaces instead of using Draft Tool. The topics elaborated are as follows. 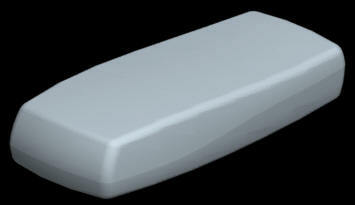 In this exercise we will create the surface model of a receiver. The topics elaborated are as follows. 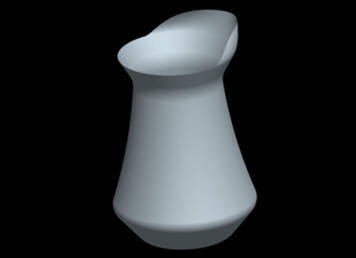 In this exercise we will create the surface model of a torch. The topics elaborated are as follows. 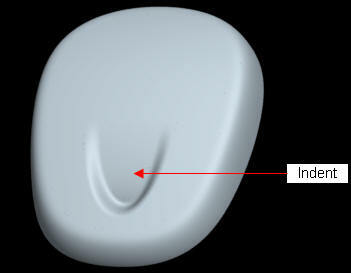 In this exercise we will create an indent in the surface model of a component. 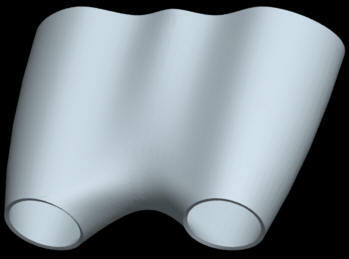 In this exercise we will create an indent in the surface model of a component. If a boundary blended surfaces is created between two existing surfaces, both have influence on the shape of the surface. 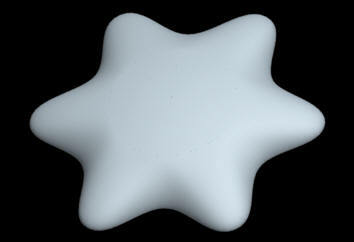 This influence can be controlled to get ergonomic surfaces. The topics elaborated are as follows. In this exercise we will create an indent behind the car door handle. 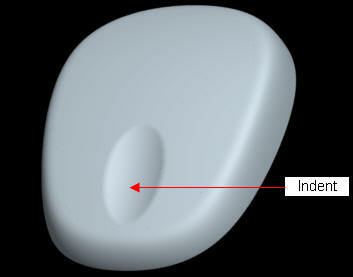 The round shown is not created with Round tool instead boundary blended surface is fine tuned to give the effect of round. The topics elaborated are as follows. 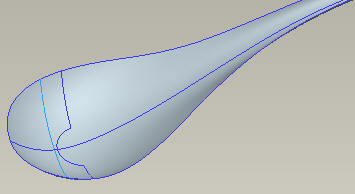 In this exercise we will create the surface model of a spoon. The topics elaborated are as follows. How to achieve "implied tangency" while creating symmetrical parts. In this exercise we will create the surface model of a clock. The topics elaborated are as follows. In this exercise we will create the surface model of a fan base. Here a lot of techniques learned in previous exercises are implemented together. The topics elaborated are as follows. 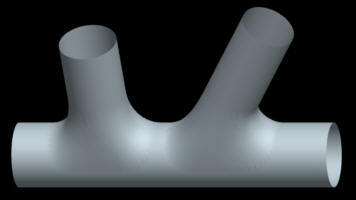 In this exercise we will create a pipe intersection of different cross-sections. The new techniques learned here are as follows. 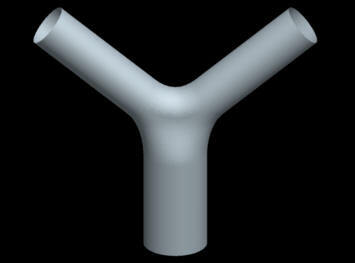 In this exercise we will create a pipe intersection of "Y" shape. The topics elaborated are as follows. In this exercise we will create a pipe intersection of multiple cross-sections. The new techniques learned here are as follows. 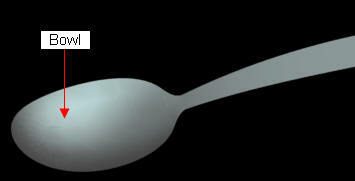 In this exercise we will create a model for soup spoon . The new techniques learned here are as follows. In this exercise we will create a model of bicycle headlight. The new techniques learned here are as follows. In this exercise we will create a surface model of an electric iron. The topics elaborated are as follows. In this exercise we will create a model of binocular. The topics elaborated are as follows. 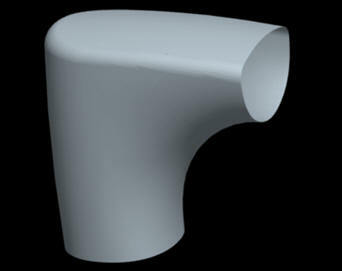 In this exercise we will create a surface model of sink mixer. The new techniques learned here are as follows.. 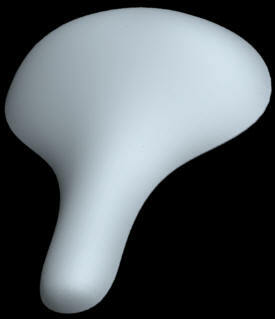 In this exercise we will create a model for a bicycle seat. It will also be shown how to convert a quilt into a solid and then shell it out to achieve uniform thickness solid parts. 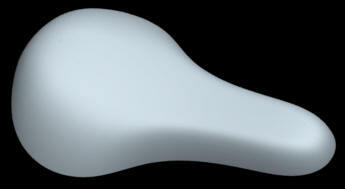 In this exercise we will create another model for a bicycle seat. Here all the surfaces will be curvature continuous to each other. A new technique will be introduced to achieve desired reflective behavior of surfaces and avoid singularity. 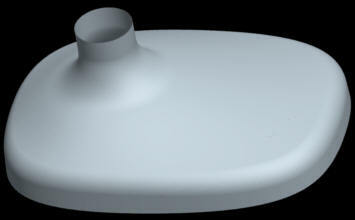 In this exercise we will create a surface model for a shower head. The most important aspect is building draft so that geometry is manufacturable. Here a lot of techniques learned in previous exercises are implemented together. 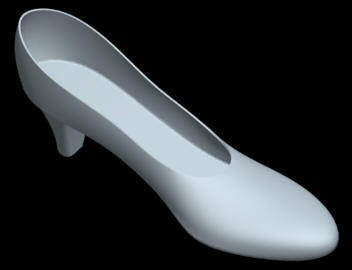 In this exercise we will create a model for a shoe. 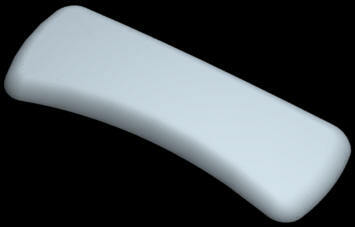 The most important aspect is to constrain the movement of curve in a single plane while tweaking. It will also be shown how the blending options of boundary blended surface affects the quality of resultant surface. Here solidify and thicken operation will be performed in a same part. 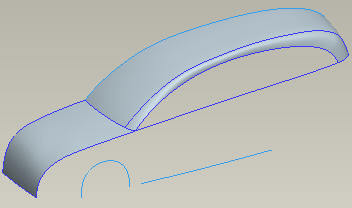 In this exercise we will create a model for a car roof. The most important aspect is the additional control of tweaking functionality. 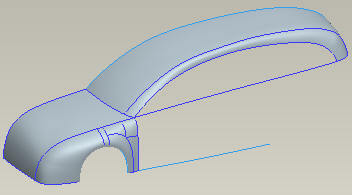 In this exercise we will create a model for a car fender. Here a lot of techniques learned in previous exercise are implemented together. In this exercise we will create a model for an axial fan. 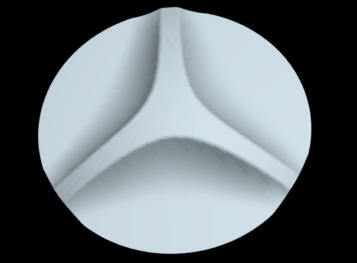 Here graph feature will be used with Variable section sweep feature to create highly complex geometry of the blade. "We purchased both of the tutorials about a month ago, and I have to say I was skeptical because they were considerably less expensive compared to the other available tutorials that I found. We had one of our CNC programmers and our lead mold designer evaluate them before we used these to train two new employees. Both engineers had very good things to say about the tutorials. Each said they learned or remembered things they hadn't used in a while and that the time they spent going through these was well spent. I have to admit I can't wait for this company to produce some more generic tutorials on modeling, assembly, surfacing, etc. In my opinion these tutorials represent a good value. I hope they're able to continue to produce good material and keep their prices in check." MoldMaking Technologies "2005 Leadtime Leader"
"I was impressed with how thorough the tutorials were. I have been using Pro/NC for years but still learned many new techniques. I have taken many classes through VAR's, PTC and Rand and have never been happy with them. I always left the classes feeling as though things were missed or scanned over quickly. Before I made things work but had to do more work to get the results I wanted. Your tutorials covered everything and are very intuitive. Highly recommended." I found the tutorials to be very informative both from Software and Manufacturing knowledge point of view. I really like their "Exercise" style of coaching. Everyone can follow the step-by-step approach. The exercises are quite clear for learning ,and if you have a little experience, in what you want to do, then the tutorials will help you a lot. I have been in the Moulding Industry since a lot of years and was already familiar with most manufacturing techniques. But there were also some facts which were unknown to me. I really like their product and will be interested to receive updates if they add more exercises.